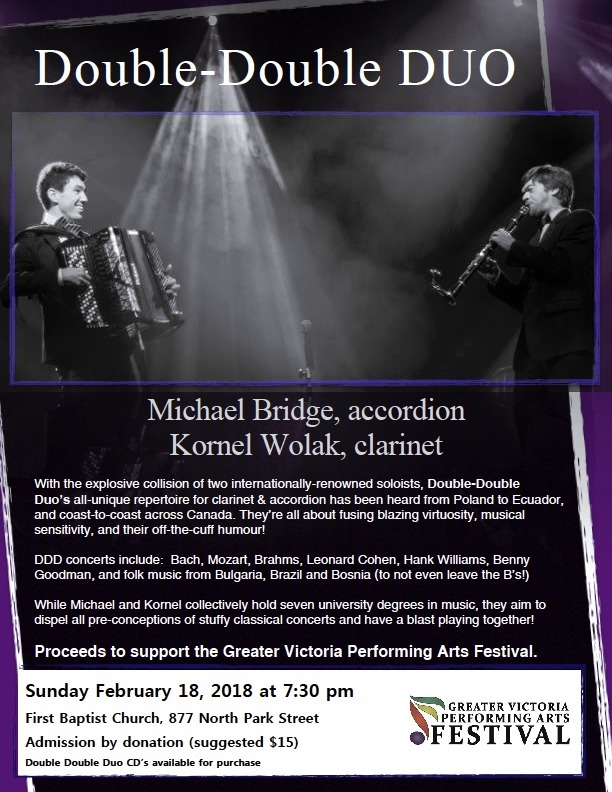 Double-Double Duo features Michael Bridge on accordion and Kornel Wolak on clarinet. 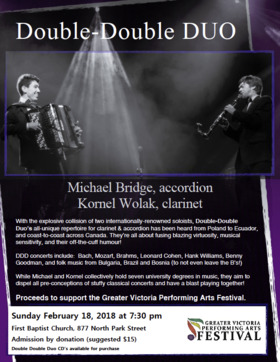 This unique duo will be performing a fundraising concert for the Greater Victoria Performing Arts Festival. 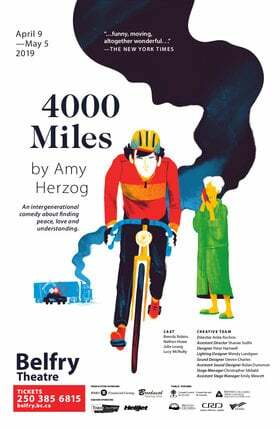 DDD concerts include: Bach, Mozart, Brahms, Leonard Cohen, Hank Williams, Benny Goodman, and folk music from Bulgaria, Brazil and Bosnia.